Welcome to our warm, inviting office! 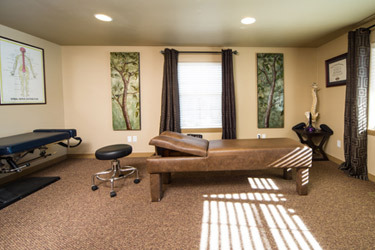 Dr. Jeff Craig has been in solo practice here in beautiful Bend since 2000 and has grown with the community. He is passionate about helping patients of all ages and stages experience incredible results, naturally. 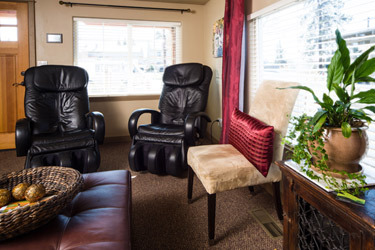 Craig Chiropractic patients love our comfortable, homey, yet contemporary environment and the fact that we can get them in easily and at times that fit into their schedule. 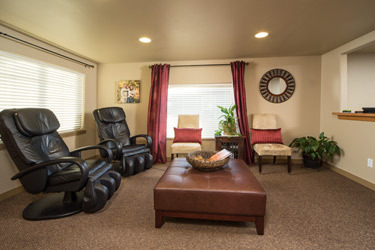 While we love helping patients get out of pain, we also are happy to provide maintenance or wellness care. While some people may think chiropractic is expensive and that you’ll have to keep going forever, that’s not the case at our practice. We want to show people how effective and affordable chiropractic care can be when they have various health issues. Our fees haven’t changed in nearly a decade because it’s important for us to make care as accessible for as many people as possible. Just imagine — you can get exceptional health care without breaking the bank! While medications simply mask symptoms, chiropractic care gets to the root of a problem by reducing nervous system interference. Whether you have neck or back pain or headaches and sciatica pain, chiropractic care can help you feel great without having to rely on medications. Discover the great value that we offer at our chiropractic care center. Contact us today to book an appointment for yourself or members of your family!